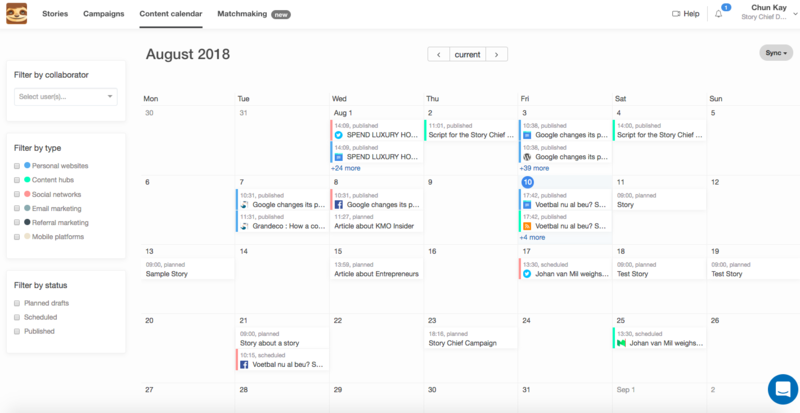 Show planned drafts/scheduled/published stories in a Calendar view. Planned drafts are stories that are created but are not scheduled or published yet. 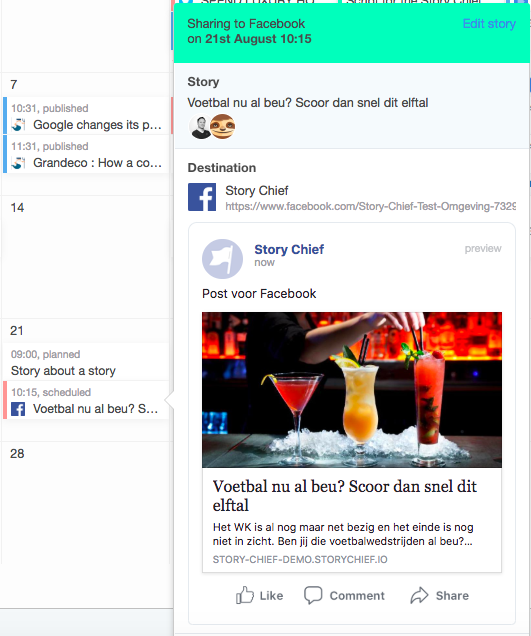 Scheduled stories are stories that are scheduled for the future. Published stories are stories that are already published. Find out if your writers started crafting a planned draft by clicking on the block and then on 'edit story'. 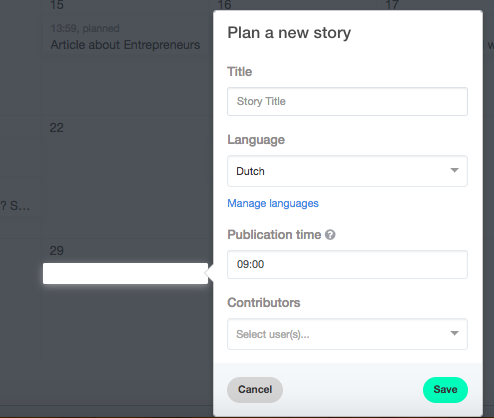 Simply click on a date to create a new story and fill in story title, language, publication time and contributors. 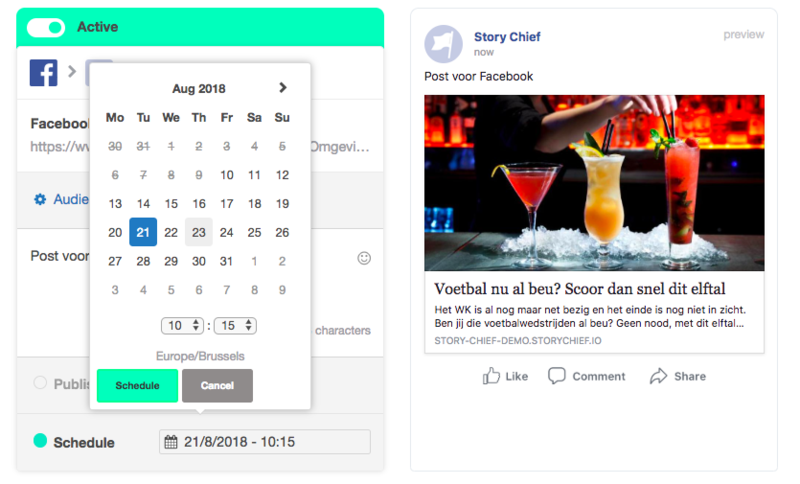 If you scheduled too many Facebook posts on the same day, click on the Facebook post, then on 'edit story', 'unschedule'. Go to audience to change the date of the Facebook post, and finally click on 'update'.